TUSCALOOSA, Ala. – Historically, the NCAA South Region Cross Country Championships have produced only the two automatic qualifiers to the NCAA Championships – the top two finishing teams from the men’s and women’s races – and there appears to be very little chance that things will change this season. In short, Friday morning’s NCAA South Region races at Alabama’s Harry Pritchett Running Park, are elimination events for the 32 women’s teams that step to the starting line at 10 a.m. (ET), and 25 men’s teams that follow them in the 11 a.m. race. For the Seminoles, whose women are ranked No. 5 and men check in at No. 4 in the South Region rankings, it is a matter of finishing first or second, or turning their attention to the indoor track & field season. The underdog role is one FSU’s teams aren’t accustomed to on this stage, but both coaches – Kelly Phillips and Bob Braman – are fulling embracing the opportunity at hand for their respective teams. Phillips’ third FSU squad won three of its first four meets. A combination of injuries, higher profile competition and some inconsistency at various points throughout the lineup led to a forgettable October; all of which can be erased by putting together their best 6,000-meter race of the season as the most opportune time. One of those bumps was a ninth-place finish at the ACC Championships two weeks ago. Still, Phillips likes her teams’ make-up in pursuit of favorites Georgia and Ole Miss, who are ranked Nos. 14 and 22, nationally. Mississippi State and Alabama are also ranked ahead of the women in the region. “This is a talented group,” she said. “It’s a motivated group; a really fun to work with group. If they can just put together how they raced early in the season together, when everybody was healthy at the same time, we can have a great meet. That’s the expectation from them and from me. In five previous trips to Tuscaloosa for the South Region Championships, Braman’s teams have won three titles, and along with a runner-up finish, have moved on to the NCAA Championships four times. The Noles are historically stronger over 10,000 meters, the distance all teams will race for the first time Friday morning. They are also facing – on paper, at least – an uphill battle to overcome Middle Tennessee State, Alabama and Ole Miss, which enter the meet ranked Nos. 21, 28 and 29, respectively, in the latest national rankings. “They need to truly understand this opportunity,” Braman said of his team. “How often can you be completely disregarded, completely disrespected and completely been ignored and marginalized the whole season? 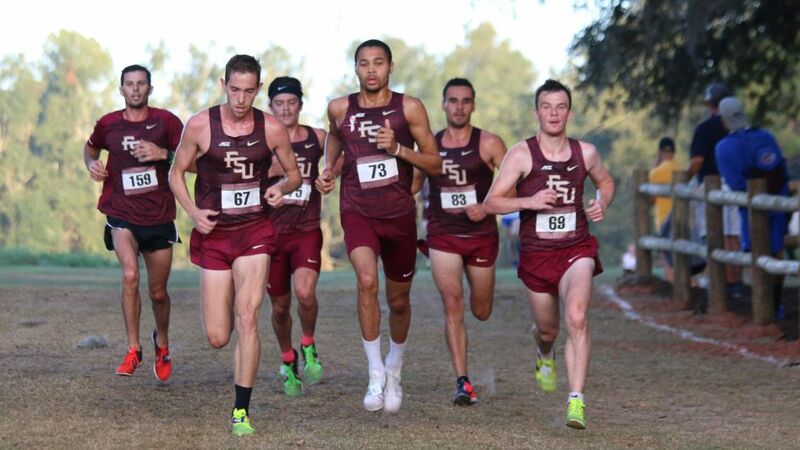 In both races, the Seminoles will need their best runners to be at their best, and they will have to execute race plans to maximize their chances of cracking the top two and earning trips to Louisville for the Nov. 18 NCAA Championships. Georgia’s women have a formidable 1-2 punch in sisters Jessica and Samantha Drop, who are well out in front of the rest of their teammates. Ole Miss lacks the proverbial “low stick” but has a tightly knit pack. To counter those top contenders, the Noles will need strong performances by Militsa Mircheva, who is coming off a sixth-place finish at the ACC Championships, standout freshman Jodie Judd and sophomore Megan Mooney. Then it will be incumbent upon the pack, led by senior and Alabama transfer Emily Edwards, to fill those spaces between Georgia’s dynamic duo and the rest of the team, and break up Ole Miss’ pack. Braman’s men may not have the firepower to go head-to-head with Alabama’s Kenyan trio, or Middle Tennessee’s equally impressive front pack, but what the Noles do have is “enough good pieces” to pack up and put five scorers in front of the fourth and fifth scorers of the favorites. “We have a true, legitimate chance to win the race and be no worse than second; to be a clear qualifier and really get the enjoyment for that,” Braman said. “In this case, no one is going to see us coming. That’s where the experience of graduate student Stanley Linton and senior Michael Hall, members of FSU’s 2015 South Region champions, and sixth-year graduate student David Barney will be essential. So will the continued improvements by senior Michael Callegari, junior Istvan Szogi and sophomore Steven Cross, all of whom have shown signs of shaking off various maladies and fulfilling their All-Region potential in the nick of time. “I like our position,” Braman said. “If we pull this thing off it’s going to be like the first time we made it to nationals. It’s going to be a big deal. It’s going to be the first time [going to NCAA’s] for all these guys except Mike Hall and Stanley (Linton).